With the prevalence of “do-it-yourself” Will-making options on the internet many may wonder in this day and age whether you need a lawyer to draft a Will anymore at all. The truth is that for simple Wills covering small asset situations that are uncontested, as when say the spouse or a single child is the only surviving relative, you probably don’t! When should an Attorney for Wills be retained? Despite the assurances of “do-it-yourself” websites, consulting an attorney to prepare your Will and other legal documents is almost always a good idea. Consider the following very common situations related to preparing a last will and testament. In these situations it is almost essential that a competent attorney for will preparation and execution be engaged. You are leaving your assets to more than one person. You expect to leave a very large amount of assets (say, over $1 million) and they will be subject to estate tax unless you engage in tax planning. You want to make more complex plans for what happens to it–for example, leaving your house in trust to your spouse until he or she dies and then having it pass to your children. Older people who have remarried often want to set up this type of trust. 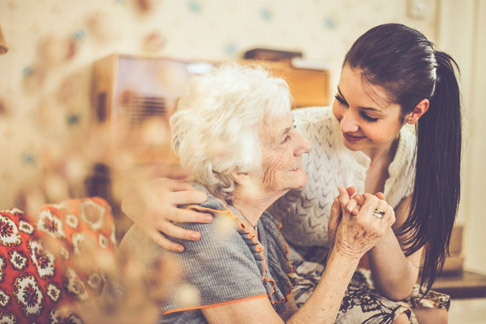 You must make arrangements for long-term care of a beneficiary–for example, setting up a trust for an incapacitated or disadvantaged child. You fear someone will contest your will on grounds of fraud, or claim that you were unduly influenced or weren’t of sound mind when you signed it. You wish financial advice on how to pass assets to heirs with a minimum of taxes and delays. 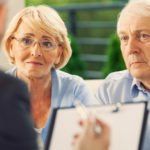 You have certain estate planning questions and so you simply feel more comfortable having a lawyer consult with you and draft your Will and other documents that may be necessary. These and many other common scenarios should lead you to seek out legal help. In addition an attorney will look at the total picture of your concerns about your assets and your beneficiaries and can recommend a host of asset strategies and legal strategies that will keep more of your money in your hands and less in the hands of government and other non-deserving individuals. Spending a little money now to have a Will drafted by an attorney can save your estate many times that amount later should your homemade Will turn out to be incomplete, incorrect, or become contested. Your executor is also entitled to a fee from your estate for services rendered. Note that this fee is generally also set by the executor and is not governed by any guidelines or restrictions. Because of these reasons it is generally a bad idea to have a potential heir act as the executor of an estate. The inexperienced can cause the estate disposition to drag on through probate court, and many hurt feelings can arise from decisions made by an executor who also has a fiduciary stake in the outcome. Really, Just Hire an Attorney to prepare your Last Will & Testament. This statement may seem self serving, but that doesn’t mean it is not also true! As an Elder Law Expert, and Lawyer for over 25 years, Frank Campisano is happy to take your questions on all matters related to the drafting of wills and codicils, and he’ll tell you flat out whether your situation is complex enough to merit a full review by a legal expert. Call Frank with your questions on any inheritance or estate matters that concern you and get your question answered by an expert right away. The initial phone consultation is always free.